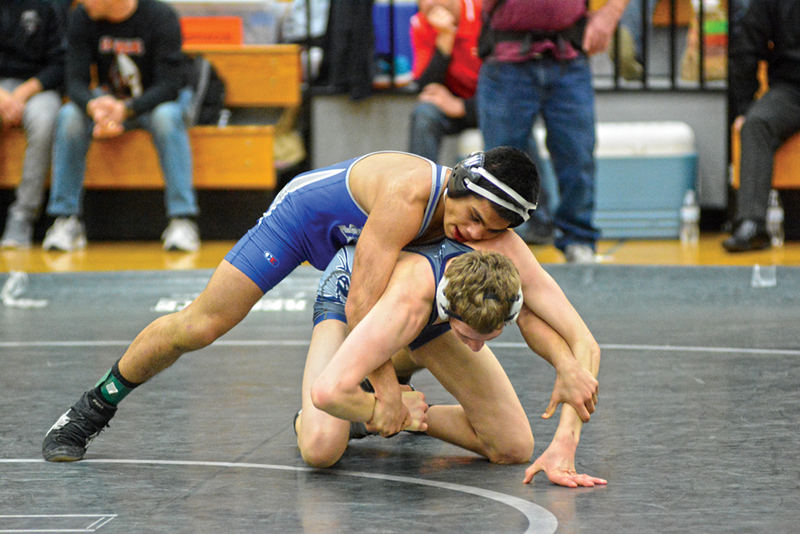 McNary junior Enrique Vincent is excited to see what he can accomplish with a whole season of wrestling. Vincent went to camp at Oregon State University over the summer and even trained with Ronnie Bresser, the Beaver’s 125-pounder, who was a four-time state champion at Henley High School in Klamath Falls. McNary senior Brayden Ebbs spent the summer getting stronger after a disappointing junior season in which he failed to place in the state tournament. After wrestling at 145 pounds last season, Ebbs expects to jump as high as 170. In a new weight class, Ebbs hasn’t scoped out the competition around the state. Vincent and Ebbs lead a young McNary team with a lot of new faces. Senior Isaiah Putnam, another wrestler with experience at the state tournament, is out for the season after having knee and shoulder surgery in the offseason. But Putnam is still contributing. The only other returning Celtics who have wrestled at the state tournament are Jerry Martinez, Noah Grunberg and Blake Norton. But coach Ebbs liked what he saw at the annual Blue-Gray wrestle off on Wednesday, Nov. 22. McNary opens the season on Friday, Dec. 1 at home with an eight-team dual tournament, now called the Jerry Lane Invitational. The field includes powerhouses Roseburg and Dallas. Wrestling begins at 4 p.m.
“We invite some of the best teams we can get here and we hope to set a bar for what wrestling should look like,” Ebbs said.